5 piece set made of polycarbonate materials. Use for safe removal of door panels, trims, liner, mouldings, etc. 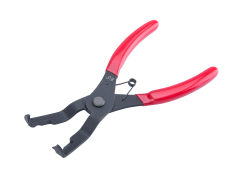 Specially designed jaws provide easy removal of flush install clips and two part clips. 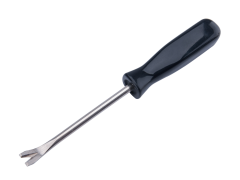 Simple clip removal tool for door coverings and covering clips. Excellent for nearly all types of wiper arm removals. 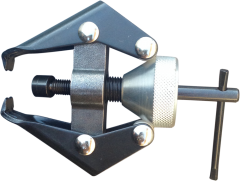 Adjustable tool for quick and easy removal of wiper arms. 25/32 inch ( 20mm ) SB Scraper Tool blade replacement pack. Super shape blades. 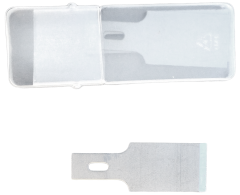 5/8 inch ( 16mm ) SB Scraper Tool blade replacement pack. Super shape blades. Ergonomic, non-slip handle. Aluminum shaft with quick-change collet. Includes pack of 10 5/8 inch (16mm ) super sharp blades.